Disclaimer: This story was written about one of our first camping experiences in the national parks in 2013. Since this trip, we have discovered many things to love about camping in both Banff and Jasper National Park. Please read the story but then go to the bottom of the post for links to newer (and more up to date) stories before planning your trip to the Rockies. Our family loves camping in the Canadian Rockies but has never done a lot of camping within the actual national park boundaries. Maybe it seemed too touristy, maybe it's because the national parks are overcrowded in summer, or maybe it's just because it's easier to book campsites in provincial parks. Whatever the reason, we decided to take a one week camping and paddling road trip this summer through Banff and Jasper National Parks - in the middle of the peak tourist travel season. Were we crazy? Yes! Definitely crazy! While I love and support our national parks, we discovered that camping in Banff National Park isn't really tailored for the local Southern Alberta population. Those of us from Calgary tend to be weekend warriors. We work all week and run out to the mountains on Friday night to find a campsite for the weekend after work. While this works in the provincial parks of Alberta and BC, Banff National Park doesn't have enough campgrounds with reservable sites. I have nothing to say but positive reviews for Jasper National Park (more to come on that in my next post), but Banff was a disappointment. A big disappointment! First, we headed out of town on a Wednesday afternoon in mid July thinking we'd get a rush on locals heading out at the end of the week. It never occurred to us that we wouldn't find a campground in Banff. Never. We could have booked spots at Tunnel Mountain but we didn't want to stay right in the townsite of Banff. We wanted a more natural experience. We also could have booked sites at Lake Louise. Beside the train tracks. No thank you! Lake Louise is also the busiest area in Banff National Park in summer and we weren't crazy about the idea of camping right in the village. Tunnel Mountain right in the town of Banff or Lake Louise, right in the village. Those were our options for booking sites. The rest of Canada's most popular national park is all first come, first serve for camping! Our first campground of choice was Protection Mountain. Close enough to Lake Louise for day trips, quiet, and natural. Located off the Hwy 1A, we also knew we'd be away from the constant noise of passing trains on the TransCanada Hwy through Banff. What a surprise we got though when we passed by Protection Mountain and found it closed!! The Parks website said nothing about it being closed. It just said the opening date was TBA. I took that to mean that it didn't have a set opening date each year and was determined annually by conditions. On the Alberta Parks website, there are clearly marked CLOSED words in RED beside every provincial campground that is not open. It's pretty easy to get accurate information. Yay for Alberta Parks. Boo for the National Parks. Since we couldn't get into Protection Mountain, we decided to drive further on towards Louise. We didn't want to back-track to Castle or Johnston Canyon so Louise was really our only option. And of course, it was 100% full since it's one of the two reservable campgrounds. This left us with only two choices. Cross over the border into Yoho National Park, or continue past Lake Louise up the Icefields Parkway to Mosquito Creek. The next closest campground with 116 sites, Waterfowl Lakes, had a TBA notice on the Parks website. Knowing what that meant now, we knew Mosquito Creek was the ONLY option on the Icefields Parkway before we got way too far away - and would just have to keep going towards Jasper. If we couldn't get into Mosquito Creek, we'd be stuck heading all the way to Jasper that night and it was getting late. We decided to cross the border into Yoho National Park in British Columbia. We'd still be close enough for a day trip to Louise AND could paddle on Emerald Lake. It was a good backup plan. The problem: Yoho has 3 campgrounds - and NONE of them take reservations. There is also only one campground that you would want to stay at, and of course Kicking Horse was full. Apparently if you weren't there by 10am in the morning to wait in line, you didn't get a spot. Try doing that when you have to work that day! It might work for tourists on vacation but even then, when was the last time you packed up your trailer, checked out of camp, drove 3-4 hours to your next destination, and arrived by 10am?! Forget doing anything en route to your campground. No hikes, no paddles, no bike rides. Just drive, get a spot and then hang out at camp or do something local near your campground. We ended up camping down the road from Kicking Horse at Monarch, which has to be one of the worst campgrounds in the National Parks. Trains pass beside the campground at all hours of the day and night, and you can hear the loud traffic from the TransCanada Hwy at all hours as well. It's basically just somewhere you pull in for a night and drive on the next morning. Not a destination for sure! We had a great experience in Jasper National Park where there are over 1000 sites to be reserved when choosing a campground. LOVE Jasper. We stayed in the Wapiti Campground and I have never seen such a clean campground. Staff even raked the campsites each morning before new guests arrived. I can't say the same for Banff. By far. We will definitely be returning to Jasper to camp in the future. More to follow on Jasper because I have dozens of awesome photos and stories to share with you. We eventually had to leave Jasper after 3 nights and return to Banff for our final 2 nights. We wanted to camp at Two Jack Lakeside and thought it shouldn't be a problem at all. It was a Monday! And we planned to arrive early in the afternoon. However, when we got there we found two other vehicles in front of us fighting over the LAST spot. No luck for us. We were stuck camping at the dismal Two Jack Main campground which I have nothing positive to say about. I don't even have a photo of our campsite. The bugs were bad (no mosquitoes in Jasper or Yoho), the sites were not leveled (making it hard to park a trailer), and we were camped on top of our neighbors. Seriously, I ended up inviting our neighbors to breakfast since we were practically eating together anyway! Apparently, each campground loop only opens when the previous loops are full. While I understand this must be easier for cleaning, I saw no evidence that cleaning was even happening at Two Jack Main. The bathrooms were filthy the whole time we were there, people were cooking in our bathroom (yes, really), and there was trash all over the ground of our site when we arrived. Disappointed. Next year if we want to camp near the townsite of Banff, we will either have to book sites in town at Tunnel Mountain or else arrive at Two Jack Lakeside early in the morning - to wait in line. Alternately, maybe we'll just book an entire group site at Two Jack Main, go in August when mosquitoes aren't as bad, and hope that we enjoy the group site more than the individual sites. We learned many things this trip. One - Don't camp in Banff National Park in the middle of summer. Next time we want to camp here, we'll come in June or September when we will be able to have our choice of campsites and won't have to show up before 10am to wait in line for a site. Two - If you have to camp in Banff in the summer, always make a reservation. Yes, this means you will be camping in the town of Banff or the village of Lake Louise. For most tourists wanting to be close to amenities and key tourist attractions though, this likely isn't a problem. Three - Day trips are the way to go if you are from Calgary. Five - Always bring ear plugs if you are camping in Banff or Yoho along the TransCanada Hwy. While they won't completely block train noise, they do help a little. I don't understand why Kicking Horse is the only campground I saw with a playground. My husband thinks it's because the Parks don't want us to become too comfortable. He thinks they want to encourage us to keep moving every night so they can fit more tourists in. Maybe he's right. Sad. I'd love to see some of the more natural campgrounds such as Two Jack Lakeside or Mosquito Creek take reservations. Even if 25% of the campground was reservable, it would certainly help those of us who like to PLAN our trips in advance. What do you think? Have you camped in the National Parks? What was your experience like? Author's end note: The Banff National Park website has been edited to indicate which campgrounds are actually closed. Their website is much clearer now. Two Jack Lakeside is now fully reservable for the 2014 camping season!! Thank You Parks Canada!! Wow, I can't say I'm really surprised by your Banff reaction... not to mention the astronomical pricing for a campground site. We were looking for a tent site in Lake Louise and it was nearly $30... versus less than $20 up the road at Tawkaka Falls. This makes me excited to plan for Jasper sometime though!! Looking forward to more on Jasper!! Agree, camping in the national parks is expensive. Especially when you have to pay for a fire permit each night! What amazing scenery!! We visited Lake Louise when it was frozen (Stunning beauty) but it certainly looks amazing in summer. The photos of lakes you paddled on is - OMG worthy! 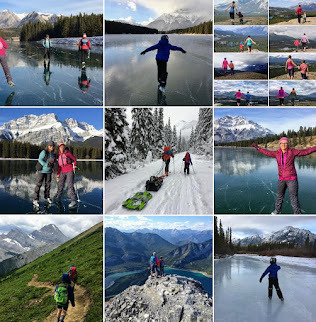 Interesting info about Banff being so disappointing for camping, though in saying that, the place where you stayed, Monarch in Yoho National Park, whilst sounding far from idyllic, your photo of the campsite, it looks gorgeous!! So appearances can obviously be deceiving. Love reading about this part of the world! How I wish I could visit again (and not in winter). Thanks. I'm glad you liked the photos. When we are out doing our day tours, we had a fantastic camping trip. Monarch Campground in Yoho is indeed very beautiful!! One of the most beautiful campgrounds I've stayed at. And very quiet as far as other campers. But, the trains and noise from the highway consumed the beauty. We also couldn't have fires there which was sad. For front-country camping, we are fans of Redstreak in Kootenay National Park and Wapiti in Jasper. Snaring River in Jasper is also a great campsite but fills quickly. We're from Vancouver and we typically start in Kootenay National Park and then head to Jasper, avoiding Banff and Lake Louise altogether. We prefer to have a long "commute" to various scrambles/hikes in Banff and Lake Louise, rather than actually camping there. We have stayed at some of the campgrounds along the Icefields Parkway as well, which were great (because they were on Jasper!) but will be sticking to reservable sites now that we have a little one. We don't want to have to drive around like you did, or have to pitch our tent in an overflow area(gravel pit) like we did one night! BTW, Redstreak has a playground. So good to hear Joanna! We are going to Red Streak in September. Can't wait. And glad to hear that they have a playground. It's so nice to be able to send the kids off to play. Will have to try Snaring River sometime. I see that they have a group site which I may book in the future. Dear Tanya! 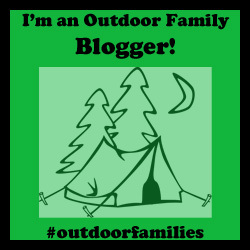 First of all, I have to say that I love reading your blog - I've been getting so many ideas about camping/hiking with kids. It really is an entirely different experience, and there are so many things to think about! My partner, his two kids (ages 8 and 10) and I love being outdoors and use every opportunity that we can - especially in Kananaskis and Jasper. I have to agree with you - camping in Banff has always been a huge disappointment. But we love spending time in Jasper (even though it is quite a ride from Calgary). We just came back from a 5 day tent camping trip in Jasper, and had an amazing time. We booked a site at Whistlers, which we weren't crazy about at first because it is such a large campground. But we ended up having a great time at Whistlers for several reasons:1.) playgrounds!! the playground near us was huge and the kids loved playing there. 2.) whistlers is huge with lots of little camp site loops, so though it doesn't sound great for a 'natural' experience, it is great for bike riding! - we took the kids' bikes and they spent quite a bit of time on them exploring the camp ground. all the loops and sites - it was like a maze for them. every morning after breakfast, while we cleaned, they got on their bikes, rode around, went to the playground and met plenty of other kids (lots of kids their age camping there was a bonus). they did the same in the evening after we got back from the day's hike/activity; 3.) whistlers has a little outdoor stage and every evening they have some sort of (rather cheesy, to be honest) programming for kids, either a short play about different animals or karaoke or something else. and though we, the adults, were rather cynical about it, the kids really enjoyed it. 4.) there's also a rather short interpretive trail through the campground and the kids liked reading about the flora and fauna and pointing them out all the time. There are downsides to Whistlers as well: you are quite close to your neighbours - but we booked in a very small loop (only 6 or 8 sites), so it worked out really well. The other thing is that there are a lot of RVs, so the hum of generators during designated hours is almost constant. But overall, we had a really positive experience at Whistlers, and I think we will definitely go there again. 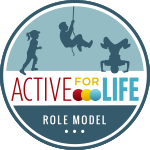 The amenities available for the kids, and their enjoyment. outweighed the negatives. I definitely do recommend it! Oh, and we also did the hike up from the gondola to Whistlers' summit this summer, and it was a great experience with the kids! We were up there about 4 or 5 hours, just climbing rocks, running around and counting marmots! Hi Sabrina. Glad you are getting lots of ideas from my blog. Glad to hear that you liked Whistlers campground. Might have to try that one next time. The one thing we liked about our loop at Wapiti was that it had power. That meant NO generators. Even tenters were using the loop so I presume other people know that a power loop means it will be quieter. Glad you had fun on Whistler's summit too. Hi, we are hoping to camp at Banff and Jasper this August, and it sounds like we should reserve campsites in advance for Banff! We are thinking Two Jack Lakeside for 2 nights, then Lake Louise for 2 nights, then Jasper for 3-4 nights. What does group camping mean? I saw that there is a maximum of 2 tents per campsite - we have 6 people which would be 3 tents. Does stand up paddleboarding require reservations? Yes you should definitely book in advance. Go to the Parks Canada website and reserve there. The date for summer bookings is April 2nd. As far as stand up paddleboarding you need to have or rent a board. There is no way to make reservations. RE the reservation thing, in an ideal world, every campground would have a loop or two that is first come first serve so that everybody can camp the way they like. Or every park would have a campground that is first come first serve. I agree that it's nice to be flexible, that sometimes there are empty sites people have reserved and then not claimed, and that sometimes you show up at your campground to find you don't like it -- and wish you could move without bailing on your reservation. Unfortunately, I've been in situations where I've spent hours driving around looking for a campsite - with no luck. So now, I reserve everything. I plan ahead. And at least I have a site. We will be coming up from Glacier in June next year and have about 8 days around Jasper and Banff area. 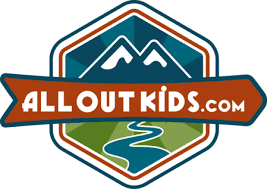 I love the name of your site because we call our two week trip that we do every summer our Family Adventures, because they for sure are not vacations. I am a planner, so I don't mind doing reservations. We have 4 kids between 4 and 12. Any certain campgrounds that you would recommend? We are from Michigan, and this will be our first Family Adventure up into Canada. We went out to Washington and Oregon this June. If you email me I can give suggestions. Contact info is on the "contact me" tab. Thanks.